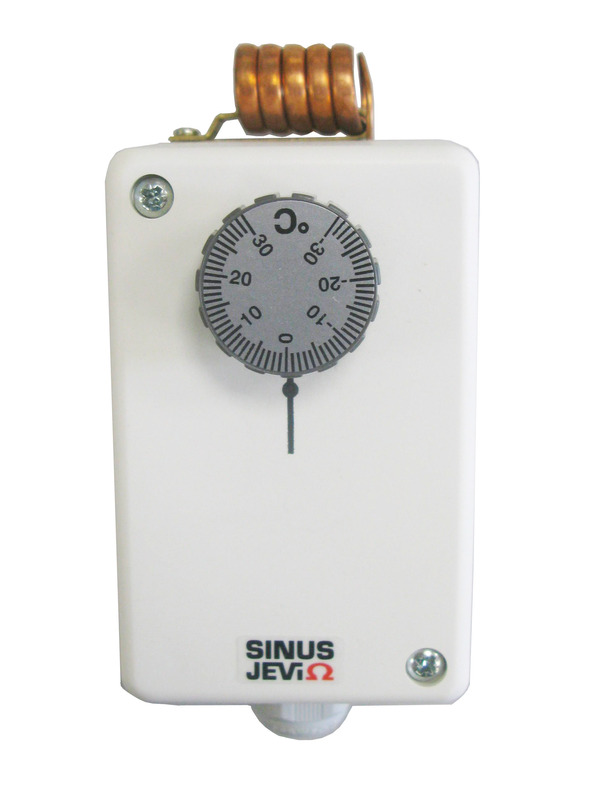 Sinus Jevi electromechanical room thermostats combine industrial quality, reliability and ease of use in a compact and robust enclosure. Power supply for the thermostats is not required due to the principle of mechanical operation. 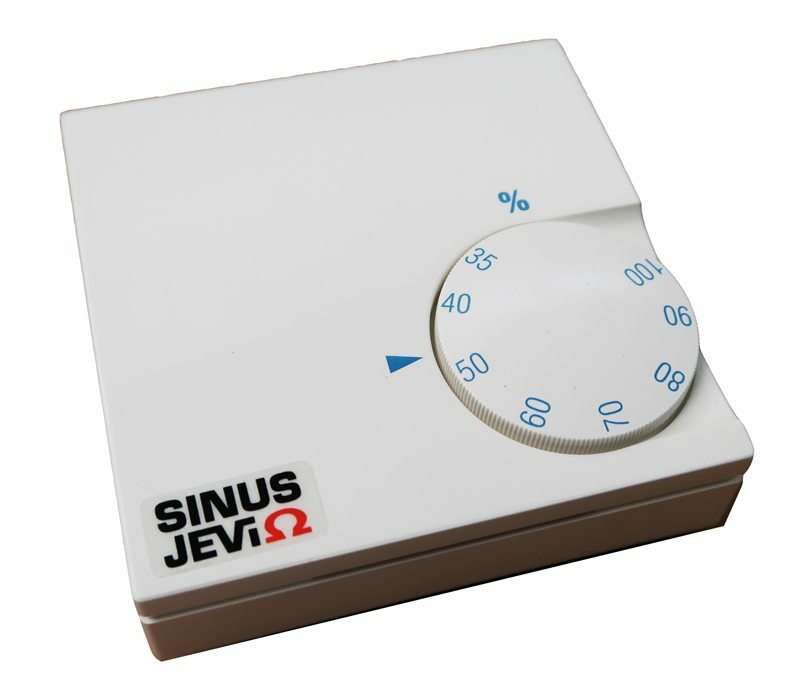 The thermostats are suitable for accurate and direct control of Sinus Jevi electric space heaters. Observe contact rating and electric load of the heater during selection of a room thermostat. 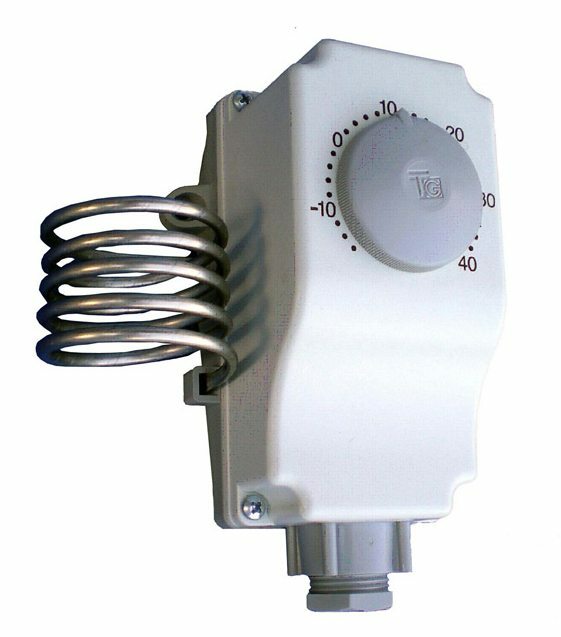 Types TG1, TG2 and TG3 are cost effective, high quality room thermostats with coiled sensor for better temperature sensitivity in an attractively designed enclosure. The plastic casing is stable and impact resistant. 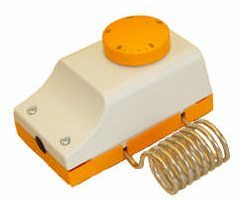 The cable entry is provided with a rubber sealing, which ensures good protection against dust and splashing water. Types TG1 and TG2 have an outside knob for temperature set point adjustment. Type TG3 has a fully closed enclosure with inside shaft with notch for temperature set point adjustment. Types FC5A and FC5B are high quality industrial thermostats with IP65 protection and adjustable differential. These models are the successors of thermostat type 9251. 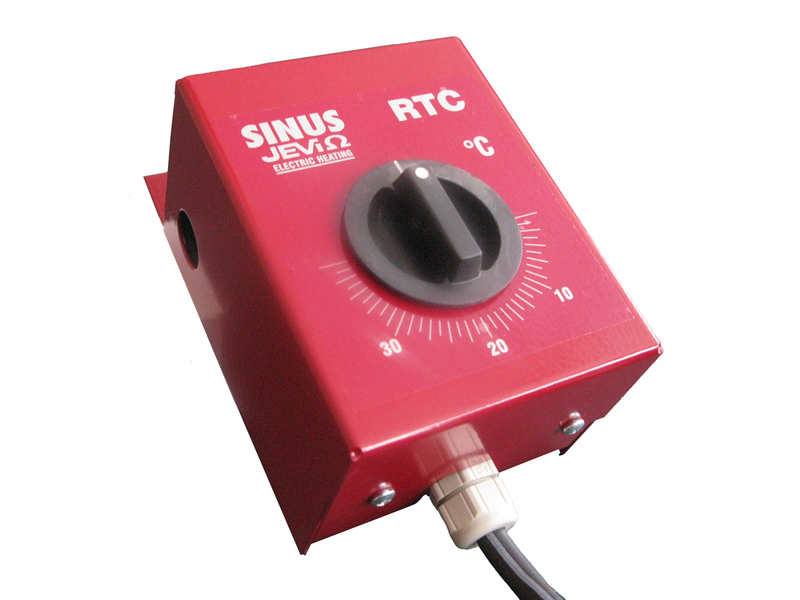 The RTC type is specifically suitable for Sinus Jevi SHK-10 and SHK-15 hot air blowers. It is a durable thermostat with coated steel enclosure. The thermostat is provided with 8 metres of earthed cable including STAS connector. Type RTS1 has been designed for direct control of (multiple) finned tube (or similar) heaters with single- or 3-phase supply voltage. 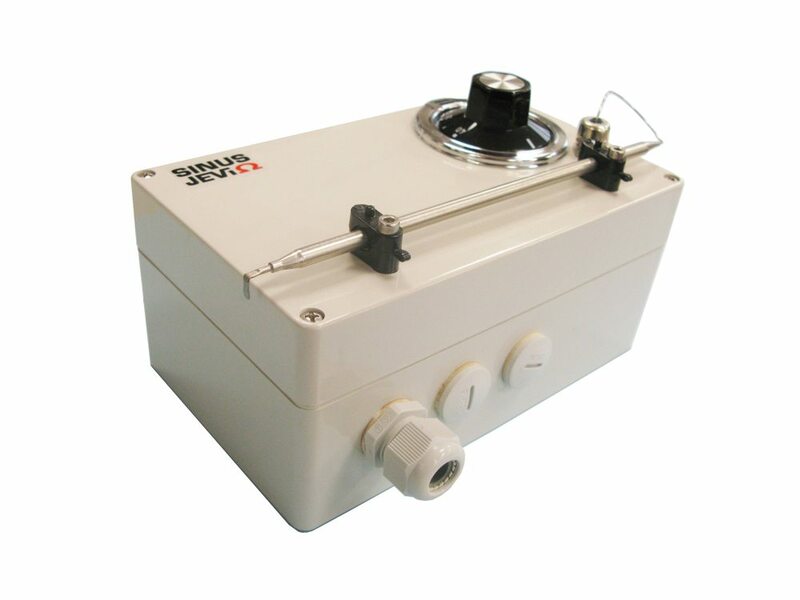 The capillary thermostat combines reliable operation with a high switching capacity. This room thermostat is an ideal solution for room temperature control with a minimum of (external) wiring and other (power) switching devices.